Fashion Treasures by What is Style by Yellow Tulip – What is Style? What is your oldest and most treasured fashion item in your wardrobe? I was thinking about what mine would be. 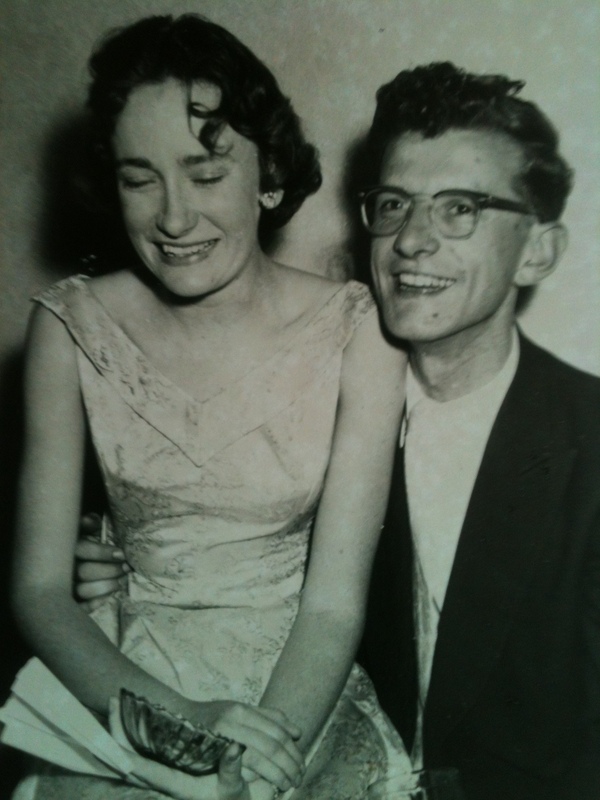 Many years ago Mum gave me her engagement dress with matching coat that she wore back in 1957. On asking Dad where he bought it – he advised me that it was from a boutique in Dominion Road, Auckland and that it cost him over a week’s wages. Surely Mum was worth every cent or was it shillings in those days I asked. He didn’t comment – but then Dad has always been the strong but silent type! I haven’t actually worn the dress since Mum gave it to me. I have thought about it, but haven’t quite found the right occasion. I do like knowing the dress is hanging proudly in my wardrobe though. I decided in the writing of this blog to see if I could still fit into it. I could definitely get the dress on, but couldn’t really move my arms much. The style is obviously very 1950’s and described as ‘princess line’ (being a sleek-fitted dress, without a waist line), accompanied with a swing-back Coat. The dress and coat are made out of brocade satin, with a modest hem length. The fabric is amazing and has stood the test of time. 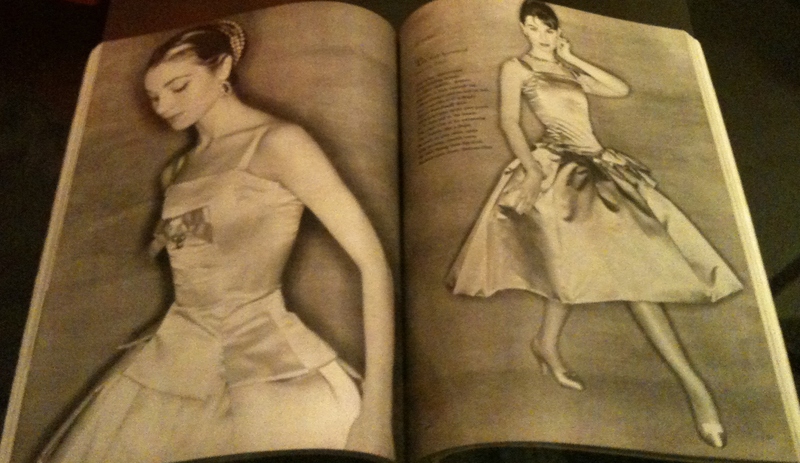 It makes you wonder whether clothing bought in this era would look this good so many years later. I am guessing Mum’s dress wasn’t made in China? So, what is your most treasured fashion item from yester years? Why don’t you send a photo to stylebyyellowtulip@gmail.com and I’ll share some of our fashion ‘treasure’ moments. What a great photo of your Mum and Dad – they look so happy! Gorgeous dress – I’d have loved to have been around then as I love those styles! Love it! What a fantastic outfit and such a lovely gift from your mum. I have one of my mothers dresses from the 60’s – I doubt I could fit it though, as she was super tiny. Your mum’s arms are so slim!! My favourite clothing? right now it is my new black dress that a fashion stylist friend called yellow tulip chose for me. I get so many complements and can’t wait for her to come shopping with me again. Oh, and anything Zambesi as it never dates. Would love to see a photo of your mum’s dress from the 1960’s. Mum commented that she had the same issue I did with trying to get my arms into the dress – she did have lovely slim arms back then. So glad you are happy with the lovely black dress you bought. You truly look fantastic in it, and will be an investment piece that you can wear to many occasions. Zambesi (well what can I say) I have pieces in my wardrobe dating back to 1999 that I still wear every year. It makes me appreciate the brand even more. Looking forward to our next shopping date. Yellow Tulip. Gorgeous dress and beautiful colour. Yes, interesting to see if a dress bought today would last well in 50 years time! I say this about some of the things I bought in the 80’s .. but alas there was no fashion sense in that era. Would we want to keep anything from back then !! I still have some lovely old winter coats that I’m saving for a rainy day. What a gorgeous dress and coat! I love the shoes you have paired it with. My most treasured fashion items from years gone by are some of my grandmothers jewelry. A pearl necklace and bracelet and few brooches. Hi Laura – Thanks so much for the lovely comments …. and to think that I nearly sold the shoes, but decidedd at the last minute to keep them. Your grandmother’s jewelry sounds lovely .. have always been a fan of pearl’s and brooches are timeless. Thanks so much for following my blog. I really enjoy reading yours and so wish one day that mine will become just as popular one day … take care. Helen.